Buy To Let Property: Two Bed Admiralty Close, West Drayton | Belvoir! On the market with Cameron's in this two bedroom flat in Admiralty Close, West Drayton. It's on the market for £315,000. "Admiralty Close is a modern development located a short walk from the amenities of West Drayton and Yiewsley and is less than ten minutes walk from the First Great Western station at West Drayton with a regular service into Paddington. The property is excellently located for Stockley Park. To the south a few minutes drive away is Heathrow and for motorists the property is located near to the M4 and M25"
Stockley Park and the many IT departments there seem to provide a number of tenants who live in Admiralty Close. Let at £1,200pcm the property will yield at 4.6% gross yield, with a good a chance of capital growth given it's proximity to Crossrail as anywhere in the UK to my mind. The development is quite pleasant and family friendly. The Close has kept it's smart appearance from when it was completed in 2007. What is property renting for in West Drayton and how's it changing? 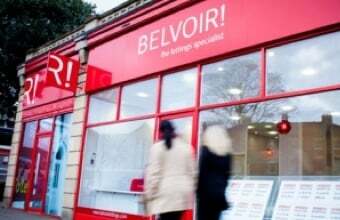 Belvoir Uxbridge don’t sell property, we are lettings specialists, but we do guide people based on our experience as to what might make a good buy to let property investment in the Uxbridge, Hillingdon, Hayes and West Drayton area. We don’t charge for this service but we would like to manage your property or help you find great tenants.